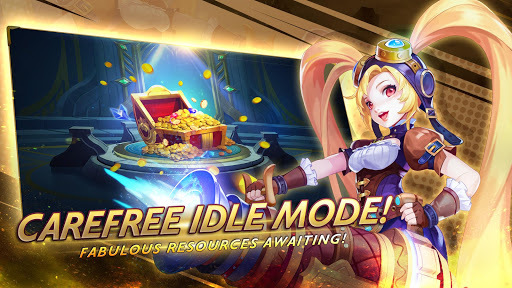 Mobile Heroes is a unique idle RPG game that offers epic background, immersive hero storylines, a relaxed gaming experience and the ability to make progress automatically even while offline. 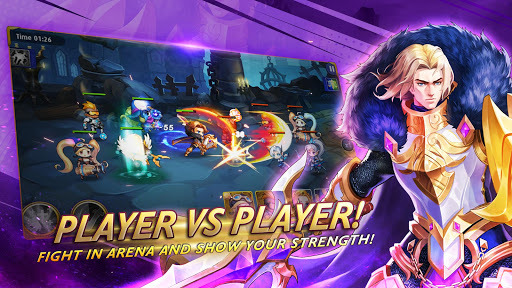 Recruit heroes each with their own unique style to create a strong team and embark on your fantasy adventure in Mobile Heroes! The secrets of the Land of Dawn are yours to uncover. Earn tons of resources in automatic battles to level up in a relaxed gaming experience. Start your Land of Dawn adventure with Layla and uncover the truth of a little-known legend, witnessing the epic battle between light and dark. Show off your unique hero and skill combinations with 6 main classes, tons of strong heroes and strategic character development. Tower climbing and arena matchmaking ensure that the battle never ends. Exchange, dismantle and synthesize heroes to your heart’s content as you master the use of runes, equipment and artifacts. Work together on guild quests and rallying heroes; share your moments of glory and defend your team’s honor. Tons of in-game giveaways, updated weekly. You can also contact us in-game by going to Settings – Help and FAQ.